It took a visionary to sit down in the 1870s and write, “Florida is peculiarly adapted to the needs of people who can afford two houses,” but Harriet Beecher Stowe established herself as prescient long before that. Her Uncle Tom’s Cabin brought the evils of American slavery into the cultural conversation, fostering popular support of the Civil War. For Stowe personally, Uncle Tom’s Cabin made her something almost unimaginable in her time—a woman made wealthy and famous by her own labor. Calvin Stowe was a theology professor in Ohio and a widower when he married 24-year old Harriet Beecher in 1836. He had warned his first wife that, “from my earliest youth my mind has been so entirely occupied by books that I have never learned the art of getting a living.” Calvin and Harriet Stowe went on to have seven children, and she began supplementing the family income with her pen years before the 1852 publication of Uncle Tom’s Cabin brought financial security and, indeed, wealth. In 1866, Harriet made her first Florida real estate investment. In a sense, this was a consequence of the war; her son Frederic was a wounded veteran struggling with alcohol addiction, and she leased a cotton plantation for him to run, as a fresh start. Stowe became infatuated with Florida, buying a cottage in Mandarin across the St. Johns River from Frederick’s ill-fated plantation, which soon failed. In the ensuing years, she and Calvin took advantage of Florida’s suitability for people who can afford two homes, moving between Mandarin and Hartford, Connecticut. In front of this cottage, spared from the forest, are three stately magnolias, such trees as you never saw. Their leaves resemble those of the India rubber tree,—large, and of a glossy, varnished green. They are evergreen, and in May are covered with great white blossoms, something like pond-lilies, and with very much the same odor. The trees at the North called magnolias give no idea whatever of what these are. They are giants among flowers; seem worthy to be trees of heaven. If you’d never seen a magnolia tree, wouldn’t these words conjure it for you? And if you’d never seen a thunderstorm, wouldn’t reading about “a frown of Nature,—a black scowl in the horizon.” bring you near enough to hear the wind howl? The narrator recounted the young protagonist’s worldview: “Janie saw her life like a great tree in leaf with the things suffered, things enjoyed, things done and undone. Dawn and doom was in the branches” (8). I knew this feeling! I claimed it as my own. Surely I had written something equally passionate and poetic in my diary, I reasoned, describing myself and my own fraught yearnings: “She searched as much of the world as she could from the top of the front steps and then went on down to the front gate and leaned over to gaze up and down the road. Looking, waiting, breathing short with impatience. Waiting for the world to be made” (11). But then Janie Crawford marries a man her grandmother has selected for her, a man named Logan Killicks who has no romance about him but is assured to be a good provider. Janie and I are both overcome with boredom—she with her life, and I with her. Eight years later, I read Their Eyes Were Watching God as a graduate student in a women’s studies course. By this time, my adolescent myopia had given way to a stalwart, feminist lens. I studied all texts through the small, grim bifocals of gender inequality and female empowerment, poised like certainty on the bridge of my nose. I found myself highlighting passages like “She knew now that marriage did not make love. Janie’s first dream was dead, so she became a woman” (24). In the margins, I jotted feminist awakening? Then, placing a star beside these lines—“Janie did what she had never done before, that is, thrust herself into the conversation” (70)—I noted finding her voice, renouncing silence!This protagonist was on a quest for self-knowledge, seeking independence from oppressive men. She was destined to become a feminist hero. She thought back and forth about what had happened in the making of a voice out of a man. Then thought about herself. Years ago, she told her girl self to wait for her in the looking glass. It had been a long time since she had remembered. Perhaps she’d better look. [self-discovery!] She went over to the dresser and looked hard at her skin and features. The young girl was gone, but a handsome woman had taken her place. She tore off the kerchief from her head and let down her plentiful hair [gesture of freedom, no longer bound] (83). This was a problem. I didn’t like Tea Cake, and I wasn’t sure I liked who Janie became when she was with him. I saw him as a swindler, just as Janie herself had initially feared—someone who could not be trusted. After all, Tea Cake lured her away from everyone she knew and married her in faraway Jacksonville, a town where he had connections but she had none. Then, the morning after their wedding, Janie’s new husband stole two hundred dollars she had hidden in her purse and disappeared without a trace after promising to go out and find them some fish for breakfast. Janie grew frantic with worry and waited all day and night for him. Tea Cake recounted to her upon his return that he had found her money and been enticed by it. Suddenly, he was rich enough to buy whatever he wanted, rich enough to throw a splendid party with food and drink, live music and dancing. The narrator recounts, “He had done found out how rich people feel and he had a fine guitar and twelve dollars left in his pocket and all he needed now was a great big old hug and kiss from Janie” (118). Janie appears satisfied and accepts the reprisal of an old, familiar burden—becoming the world for a man again. At this point, I had lost sight of Janie, her own unique motives and desires. She was eclipsed once more, in my reading, by the motives and desires of a man. Was this an allegory of the backlash against feminism? Was this a parable of internalized oppression? Recently, I read Their Eyes Were Watching God for the third time. I mused that I am nearly twice the age I was the first time I plumbed these chapters, propped against my high school locker, searching for myself on every page. When I was coming of age, Their Eyes Were Watching God became of that moment’s necessity a sensual and reflective bildungsroman. As Janie’s grandmother told her, so I imagined my own grandmother telling me: “you ain’t no everyday chile like most of ‘em” (15). We were special, Janie and I; we could have no ordinary destiny. Later, when I was a burgeoning student of feminist studies, the same book became a treatise on the small victories and greater failings of the feminist movement. The victory was evident in an insight like this one: “She stood there until something fell of the shelf inside her” (67). But by the next page, our incipient feminist misinterprets her possibilities, sells herself short: “She was saving up feelings for some man she had never seen” (68). Janie was still waiting for a man to complete her. This is the true crux of the narrative, I realized. It is a moment of existential crisis, fear of death, and perhaps most significantly, recognition of helplessness. Janie and Tea Cake and the other workers confront their human vulnerability when faced with forces larger than themselves and entirely beyond their control: “It is so easy to be hopeful in the day time when you can see the things you wish on. But it was night, it stayed night. Night was striding across nothingness with the whole round world in his hands” (150). The Janie we meet at the end of the book has grown in wisdom, but not in certainty. 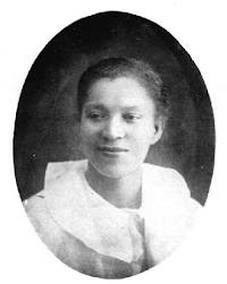 She tells her friend Pheoby, to whom she has recounted her long life story: “Two things everybody’s got tuh do fuh theyselves. They got tuh go tuh God, and they got tuh find out about livin’ fuh theyselves” (183). This is the real work of imaginative literature, I think—to become more riddle than mirror, more koan than treatise. Pheoby, like any listener to Janie’s tales, may be moved by her misfortunes and inspired by her perseverance. But there is no formula or prescription Janie can offer her, or any of us, for the spiritual and practical questions that inevitably attend our lives. “Love is lak de sea,” Janie proclaims. “It’s uh movin’ thing, but still and all, it takes its shape from de shore it meets, and it’s different with every shore” (182). Here she points to context, idiosyncrasy, and chance as irrefutable forces at work when anyone seeks to follow her heart. Their Eyes Were Watching God resonates with me now the way a symphony does, or an interpretive dance, or a lightning-and-thunder storm. I feel its magnificent and mysterious power like a current passing through me. The effect grows more visceral and more unsettling the less I seek to impose a thesis on Hurston’s oracular form. In other words, I no longer project myself onto the character of Janie, and I no longer expect Janie to stand in for all of womankind. She is neither proxy nor metonym to me now. The narrator recounts at the midpoint of the book how Janie “sat on the porch and watched the moon rise. Soon its amber fluid was drenching the earth, and quenching the thirst of the day” (95). I like to imagine myself sitting beside her, watching that same moon and seeing it differently. Julie Marie Wade, the author of Wishbone: A Memoir in Fractures, Without, Small Fires, and Postage Due, is the newest member of the creative writing faculty at Florida International University. Learn more on her website. Quotes are taken from the 1990 First Perennial Library Edition of Their Eyes Were Watching God, and the cover of that edition is show above. The novel was first published in 1937. At right, the current Harper Perennial cover. At left, the American Library edition of Hurston's novels and stories. 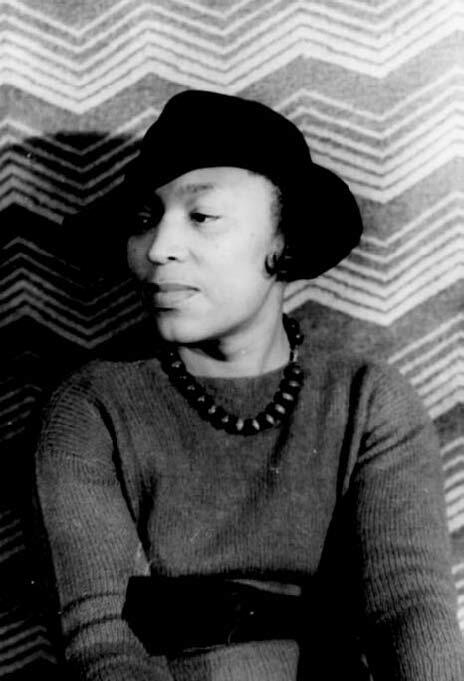 The Zora Neale Hurston Festival of Arts and Humanities is held in Eatonville, FL, every January. St. Lucie County's Dust Tracks Zora Neale Hurston Heritage Trail was officially dedicated in 2004. Kiosks mark Hurston's journey through Florida, including the house pictured at left, where Hurston lived, which is on the National Register of Historic Places and was designated a National Historic Landmark by the U.S. Department of Interior and National Park Service.